Item Number: 92-2-20A 19290 Actual Weight: 2 lbs. 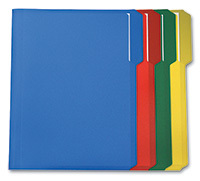 Tear proof and water- resistant folders provide extra durability for your storage needs. Made of polypropylene to resist moisture and wear. 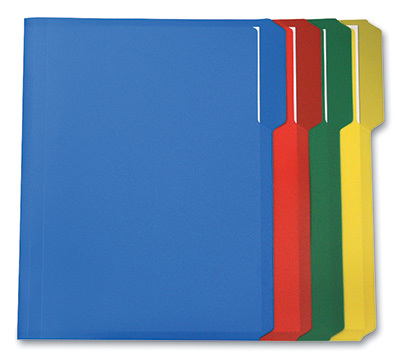 Acid-free quality makes these folders ideal for long-term storage. 3 tab style in assorted positions. Assorted color pack includes six of each, blue, green, red, and yellow.